John Venable, who served 25 years in the Air Force, is a senior research fellow for defense policy at The Heritage Foundation. The Air Force released its 2018 Electromagnetic Defense Task Force report last week, which concluded that an electromagnetic pulse—generated either by a nuclear weapon or solar flare—could cripple systems that rely on the electromagnetic spectrum. The report echoes a recent Heritage Foundation assessment that warns the United States is ill-prepared for such an event. Solar flares are eruptions of intense high-energy radiation that take place every day on the surface of the sun. Lower-intensity flares regularly hit the earth, affecting radio communications and power line transmissions—but the magnitude, intensity, and duration of some solar flares (storms) can be devastating. In 1859, one such event literally set telegraph machines ablaze and knocked their operators unconscious. Over time, telegraphs gave way to radios built around vacuum tubes, and the associated technology began to improve and become inseparable from every aspect of American society. In the early 1900s, radio receivers were common in many households and two-way radio communications became a military necessity. When nuclear weapons were developed, the U.S. government became concerned about the effect an electromagnetic pulse generated by a nuclear weapon might have on those systems. To test those effects, in 1962 it detonated a weapon at high altitude, and the ensuing pulse went off the scales of the array of scientific sensors. The pulse was so strong that it blew out street lights and caused phone outages more than 800 miles away in Hawaii. And over time, the blast destroyed several U.S., British, and Russian satellites. Electronics of that era were much more resilient to electromagnetic pulses than those of today. Smartphones, computers, ATMs, nuclear power facilities, and virtually every other facet of our day-to-day lives now rely on electromagnetically sensitive circuit cards. Nowadays, even a relatively small electromagnetic pulse can cripple everything from personal electronics to those in tactical vehicles, command and control nodes, and the drones that have been so effective for our military. Our adversaries know how to exploit these critical vulnerabilities, and several have the capability to do it. A high-altitude detonation of a nuclear weapon over the U.S. would incapacitate power grids for weeks if not months. While the ensuing power outage would bring chaos to major metropolitan areas, it would have catastrophic effects on our nuclear power plants. The report states that without near-immediate restoration of power to the pumps that cool the nuclear rods at those facilities, we could suffer meltdowns in reactors at 60 different locations. There is currently no civil or military plan to restore power to these facilities. And while the military has standards meant to protect key components from the effects of an electromagnetic pulse, there are many areas where those standards don’t apply or where uncertainties remain. The integration of digital systems—from flight controls to fuel injection—is now part and parcel to military and commercial aviation. The report framed this vulnerability with the loss of a helicopter shortly after it had flown over a high-powered antenna array. The electromagnetic interference caused the helicopter’s digital carburetor to shut off fuel for the engine. The crash highlights the potential impact an electromagnetic pulse could have on all critical digital components and sensitive receivers like the radar arrays on our aircraft. While most fighter and airlift aircraft incorporate shielding and system backups that would allow for their safe recovery following an electromagnetic pulse, their military utility would, at best, be in question. First, we must build stronger alliances that can rapidly attribute and then deliver a credible response to deter an aggressor from attempting such an attack. 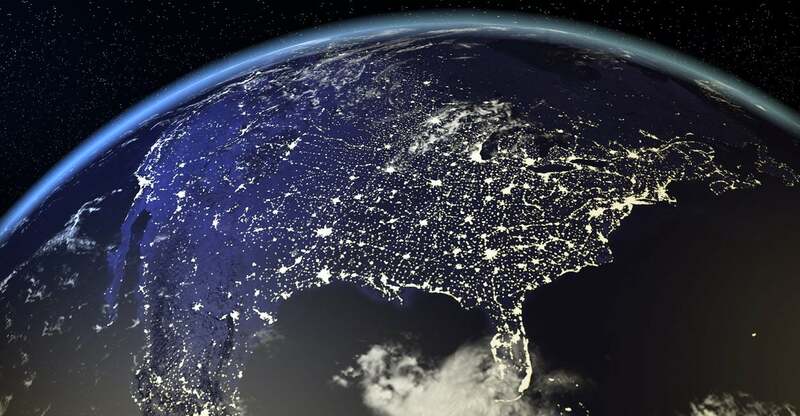 We must motivate state regulators and power companies to secure our electrical grid now, in order to mitigate the severity and duration of the effects of an electromagnetic pulse. Finally, we need to encourage civil-military relationships that can quickly recover the critical components of our infrastructure. The threat of an electromagnetic pulse generated by a solar storm or nuclear device is real, and the impact it would have on our nation with its current level of readiness is nothing short of disastrous. The steps required to minimize this threat are expensive, but we need to absorb those costs now, as the cost of trying to recover after the fact may prove to be insurmountable.